Take three medium size bowls, one for the flour mix and salt, one for egg whites and one for egg yolks and olive oil. Whisk your egg whites until they are stiff and fluffy and set aside. Then whisk your egg yolks together with the olive oil. Add the egg whites to your flour mix and gently mix it together and then add your egg yolks and again just turn it gently together until you have a dough. 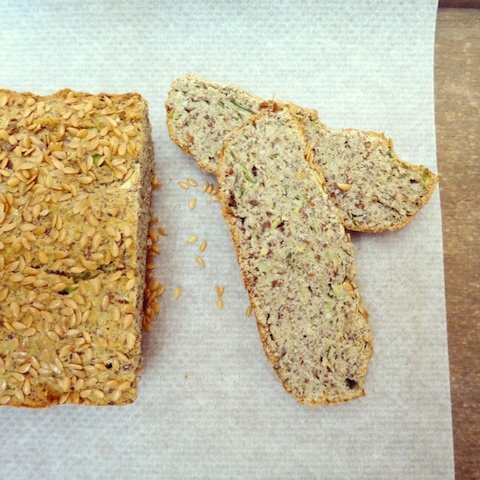 Place the dough in a bread tin and sprinkle with some flax seed and bake it for 30 mins at 170 C.